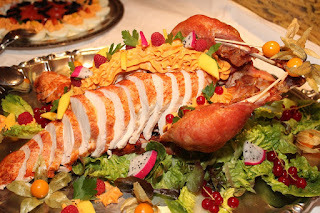 I have been carving turkeys and hams with an electric knife for over 20 years. For me, it is the norm. However, many people tell me they use carving knives. 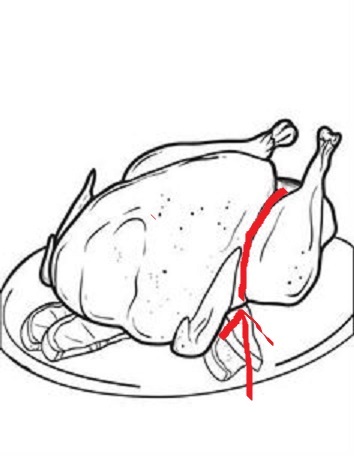 Whichever way you carve your turkey, here is a tip that will make carving it much easier. First, let me just state that you should never carve your turkey straight out of the oven. You have to let it sit for at least 20 minutes to soak in all of those delicious juices. 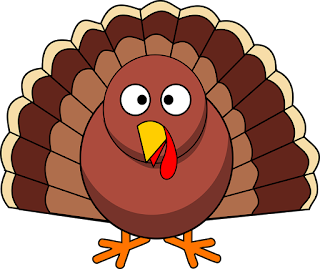 First thing you want to do when carving your turkey is to remove each breast. 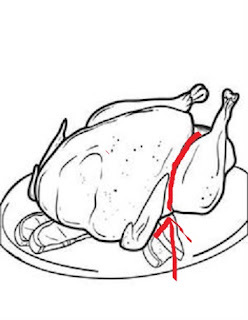 You do this by first cutting along the leg and breast. This will give you more room to work. Once you have done that, pull the legs gently away without removing them. You then want to cut along the top spine of the turkey and then across the side and take the breast out. Honestly, once you cut along the spine, the breast will usually be very easy to remove. You will have to cut along the spine for each breast side. After removing the breast, just cut it into uniform slices. 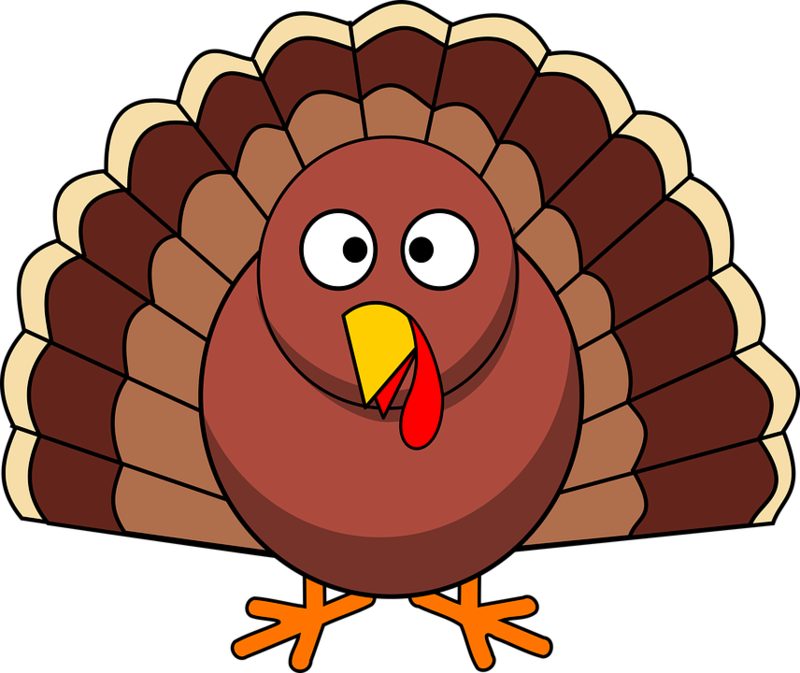 I know some people like to leave the breast on and cut their turkey with a carving knife and that is fine. Whatever works for you is great. However, this is how I like to carve mine. 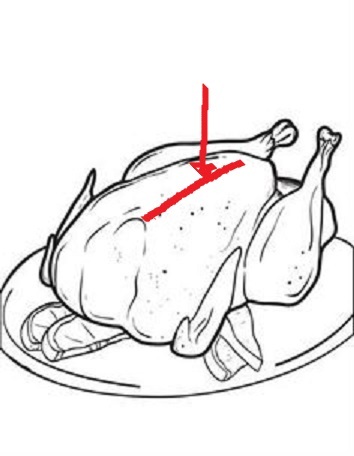 Once you have completed this step, you can remove the legs and dark meat and arrange them on a platter. I learned this technique from watching Bobby Flay. So, I want to give some recognition to him, because before I learned from watching him, I use to have a hard time carving and my turkey would crumble and fall apart. Now I am able to nicely display my turkey. 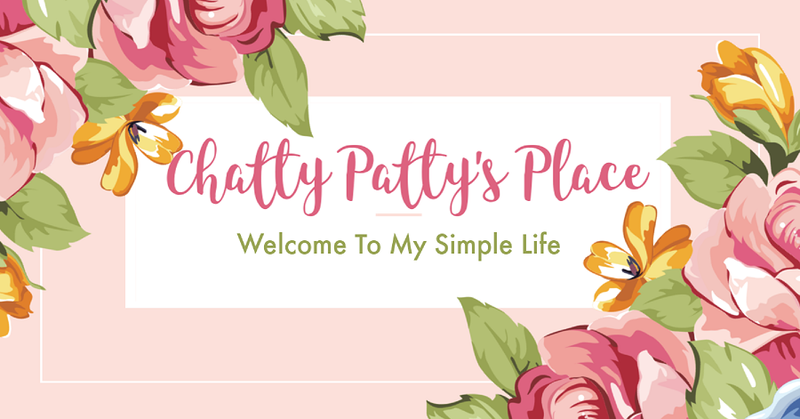 I hope this is helpful for you. 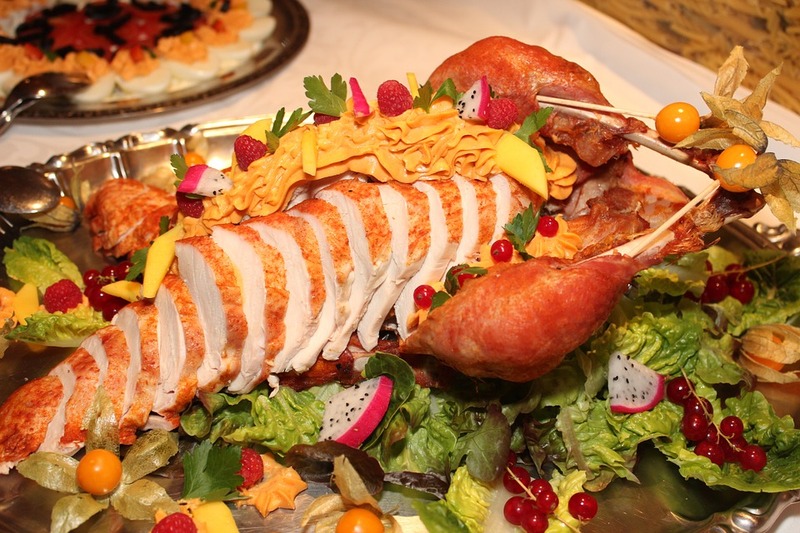 If you need more details, you may want to search for videos of Bobby Flay turkey carving. You can use a carving knife with this procedure, but using an electric knife makes it easy. 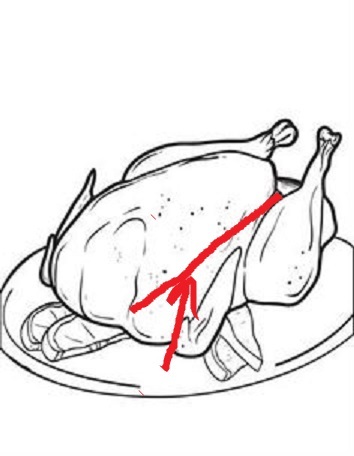 I hope this will help you carve the perfect turkey for your family.